“Mayores” crosses the diamond threshold — and then some — in the United States. Becky G’s “Mayores (featuring Bad Bunny)” just reached a very impressive milestone in the United States. The hit single has officially attained diamond status — and then some — under the RIAA’s Latin Music Program. According to the RIAA, “Mayores” was certified 11x platinum on January 11, 2018. The award confirms 660,000 in US units. Each unit is equal to 1 paid download or 150 streams. 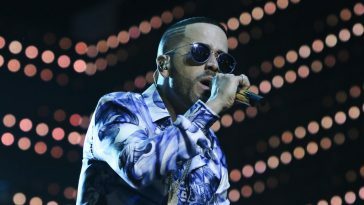 The Latin Music Program, which uses an adjusted certification rate (60K = platinum), honors music in which the lyrical content is at least 51% Spanish. “Mayores” has thus far gone as high as #74 on the Billboard Hot 100. Its immensely popular video recently hit 900 million views.